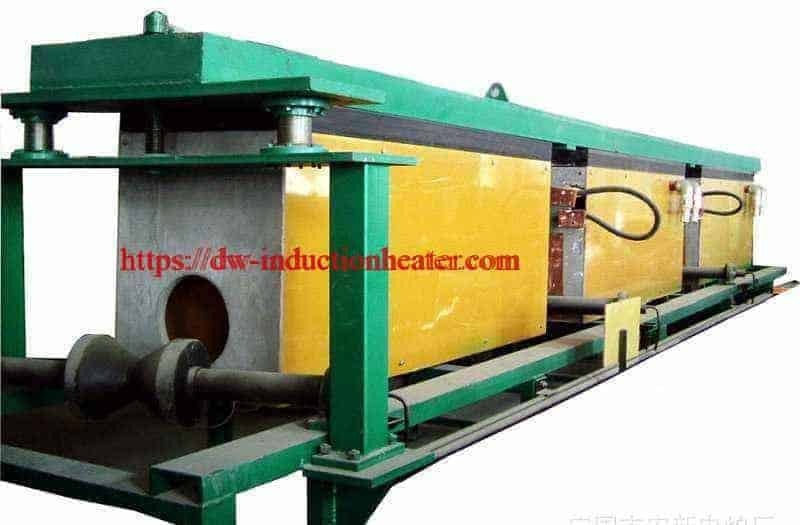 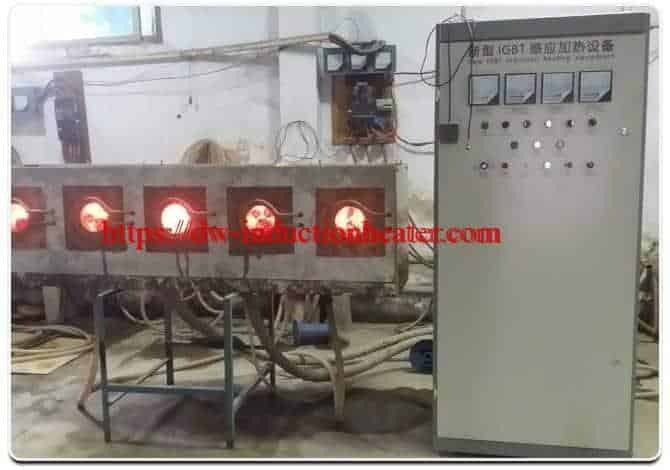 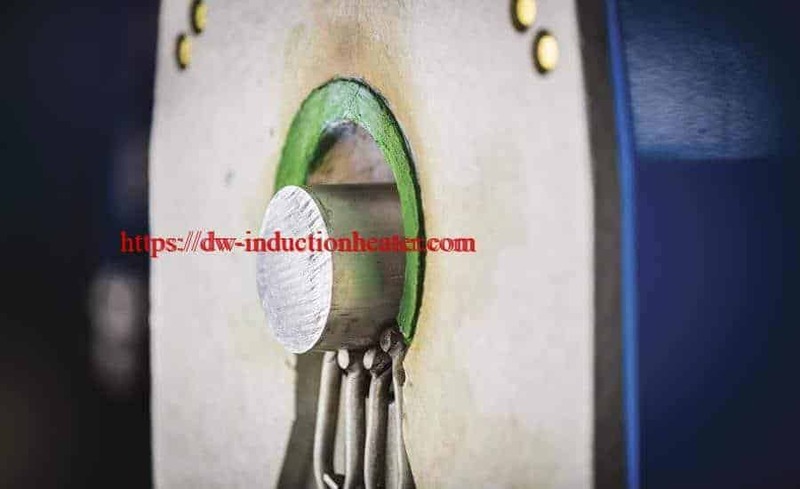 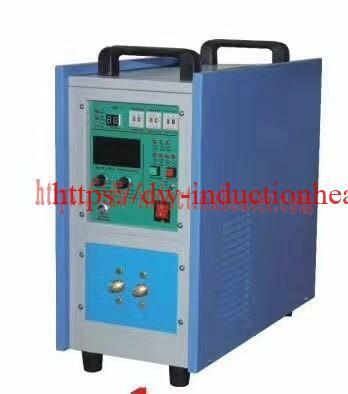 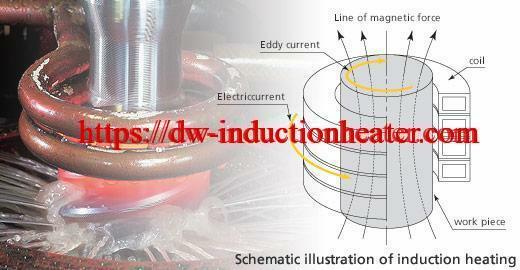 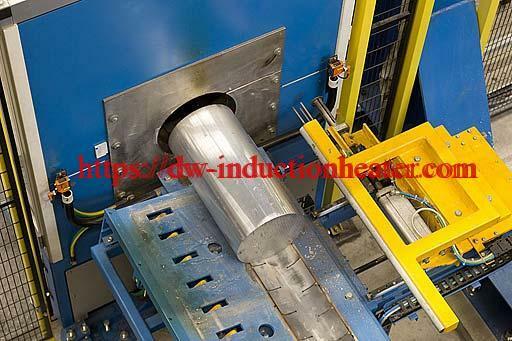 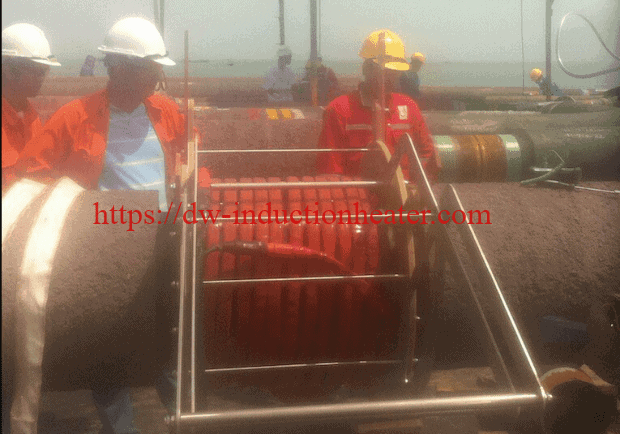 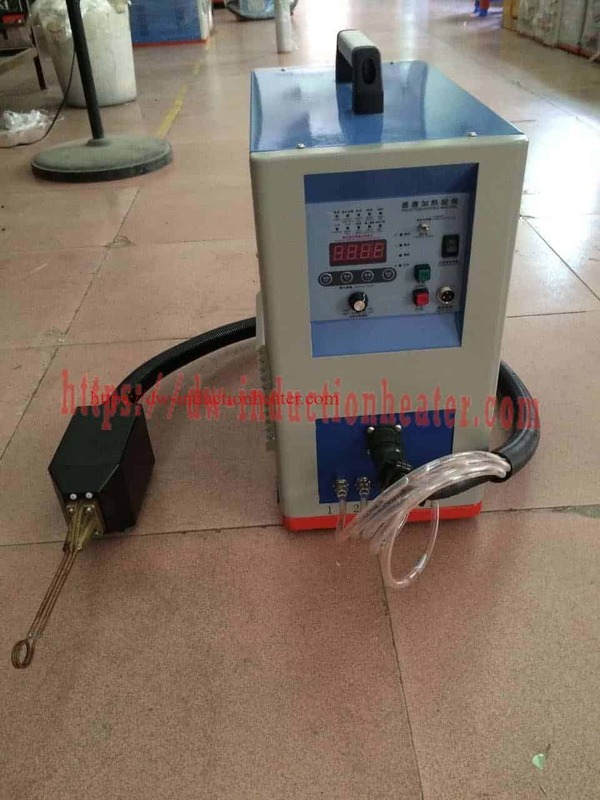 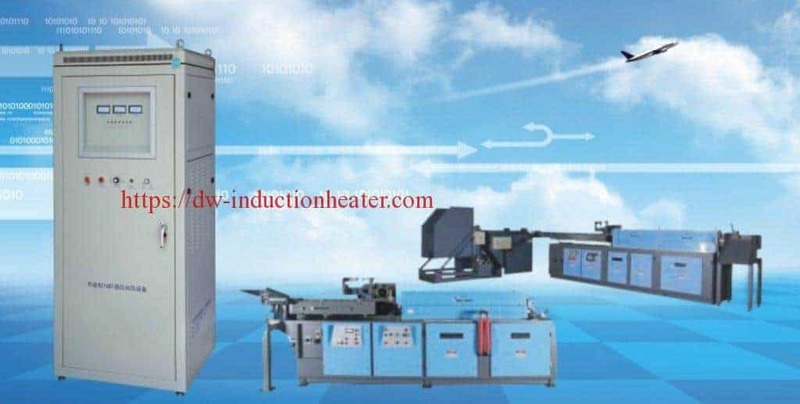  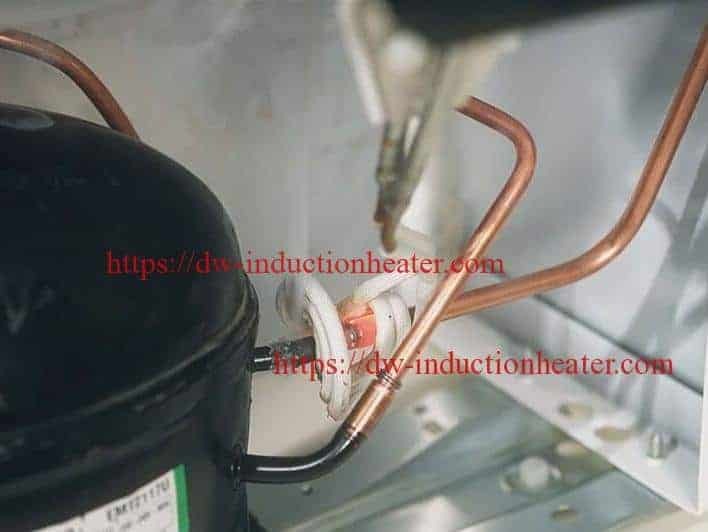 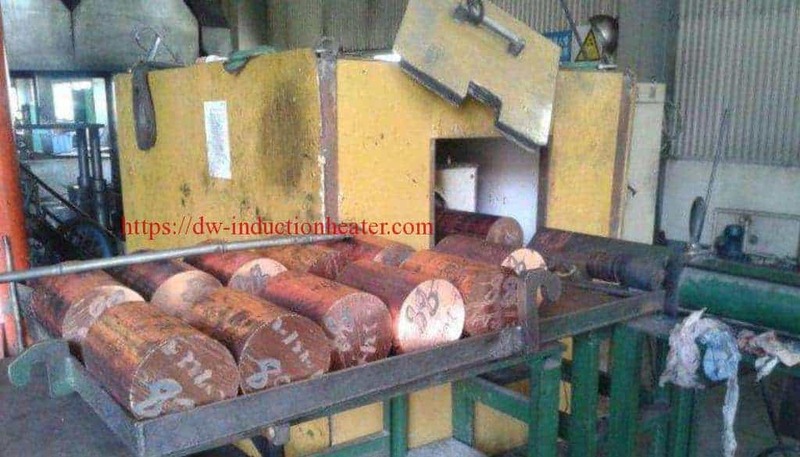 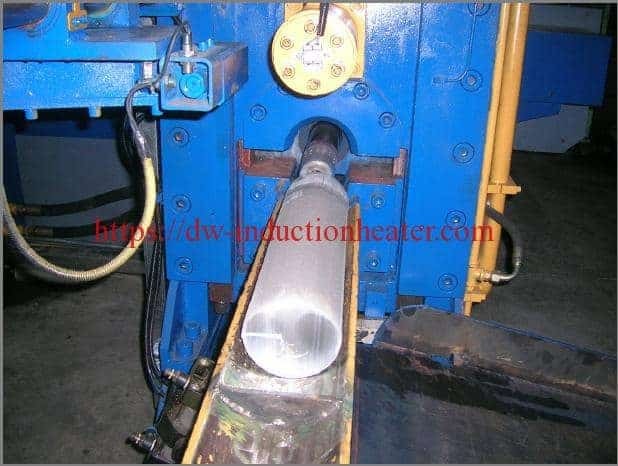 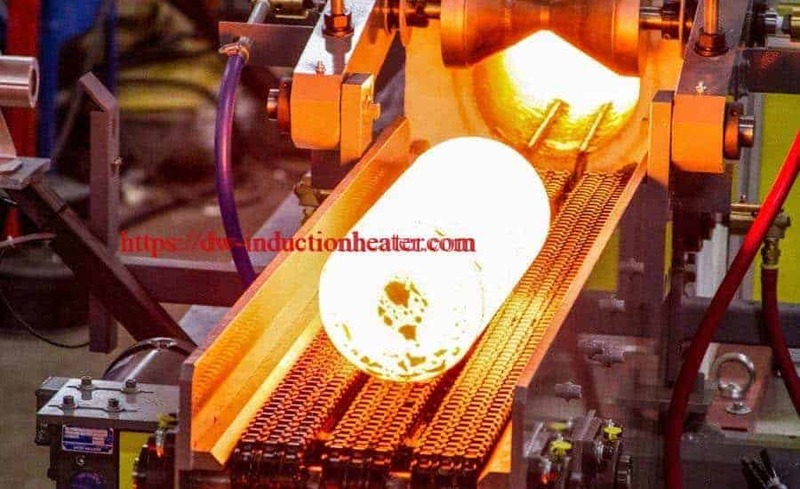 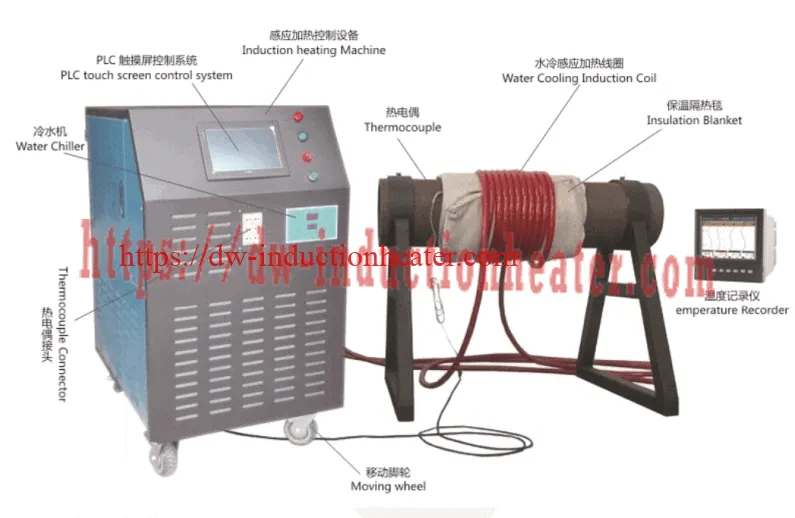 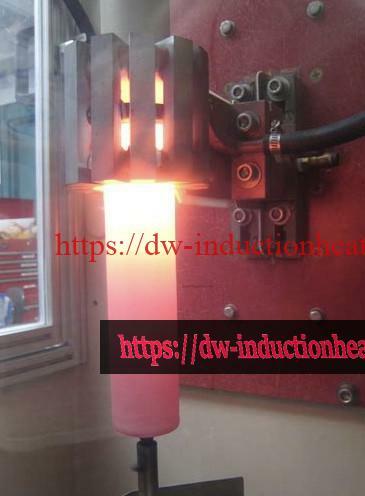 Equipment • DW-UHF-20KW induction heating system, equipped with a remote workhead containing two 1.5μF capacitors for a total of 0.75μF • An induction heating coil designed and developed specifically for this application. 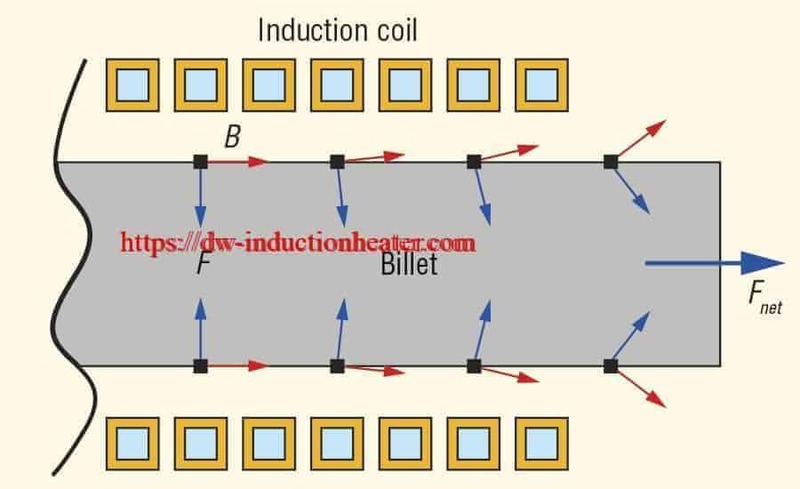 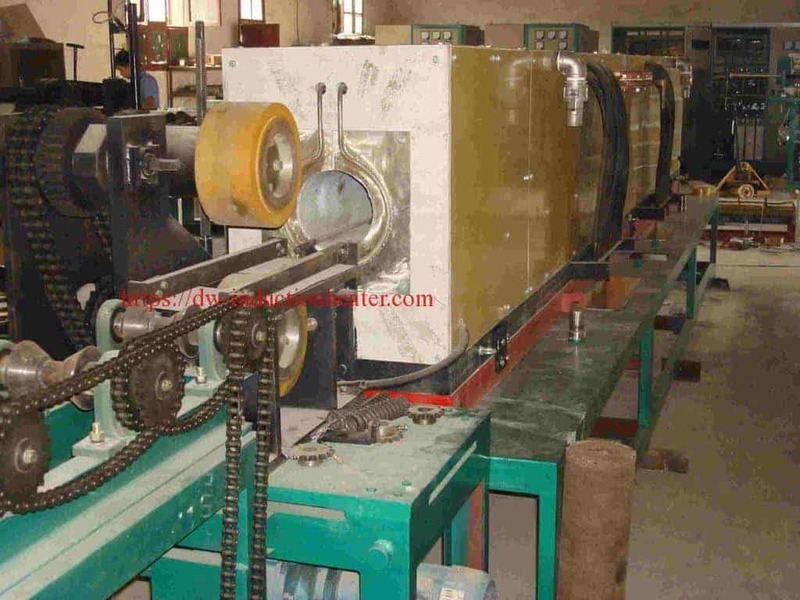 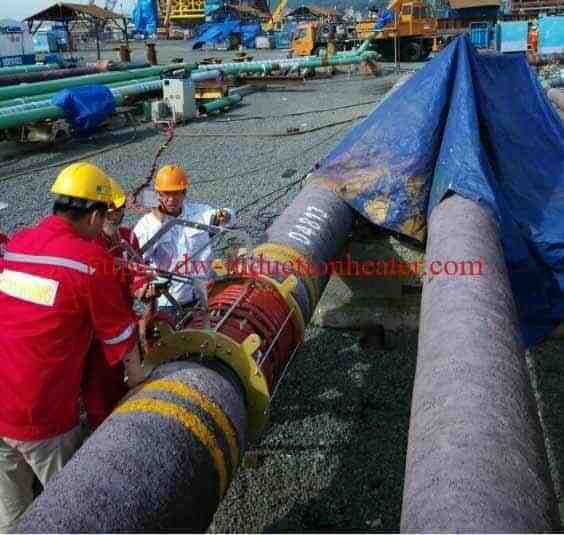 Process A four turn helical pancake coil is used to heat the 2 pipes simultaneously. 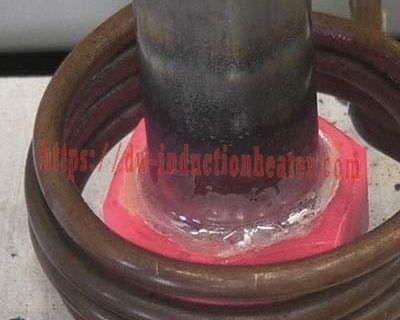 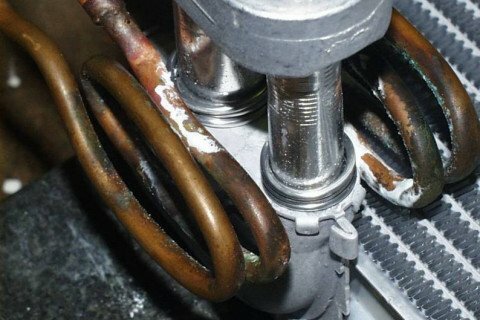 Three braze rings are placed on each joint and power is applied for 90-100 seconds to create a leak proof joint on both pipes. 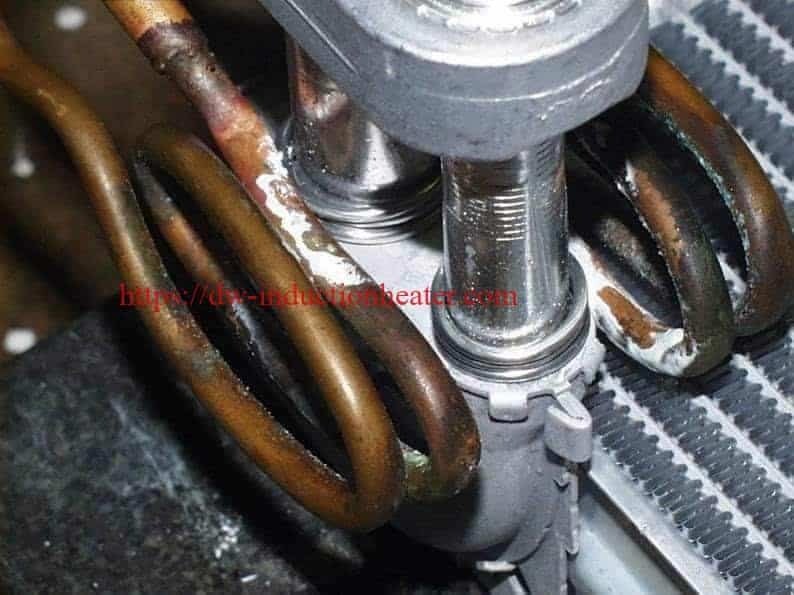 Narrative • Customer is requiring a 40 seconds heat time for both brazes. 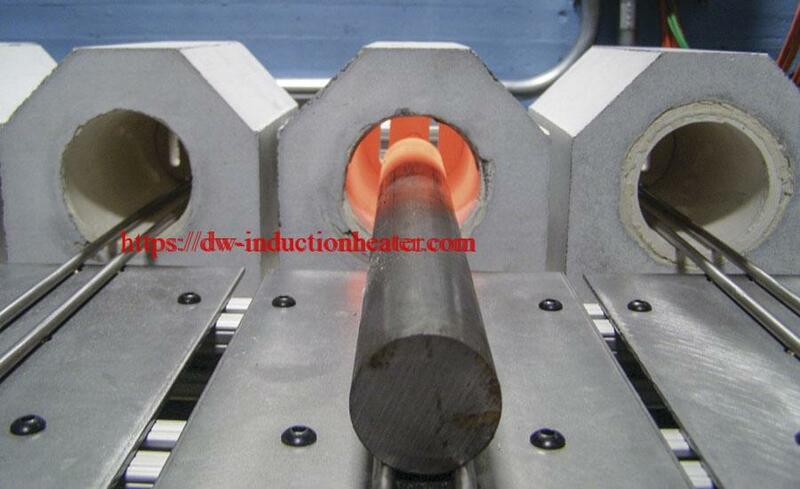 In order to meet this requirement 3 units will be utilized to braze 2 joints each for a total of 6 joints in 90-100 seconds. 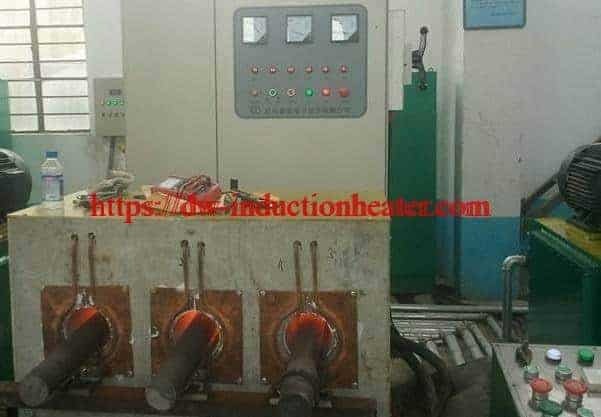 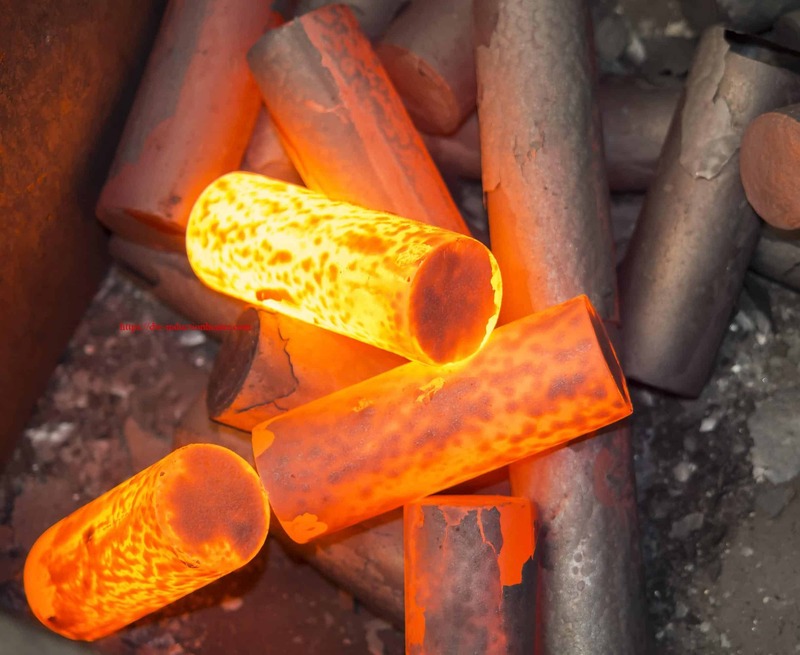 The customer is currently using a flame process which can burn away the thin flange at the joint area and create scrap parts. 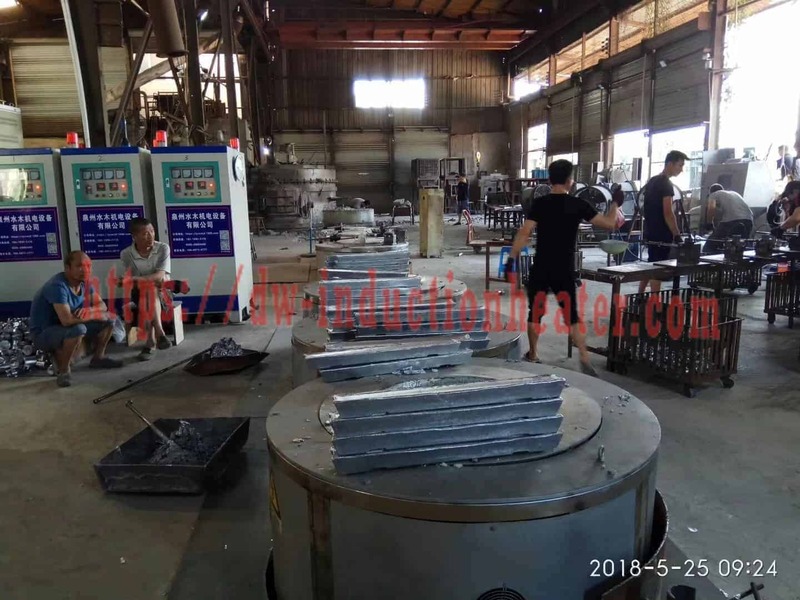 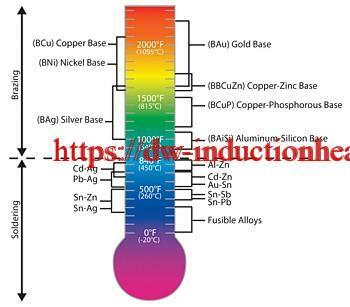 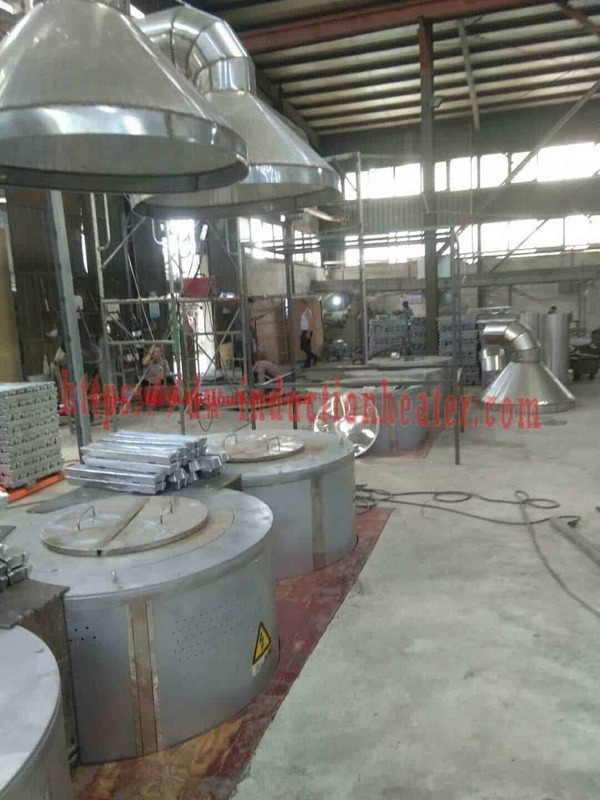 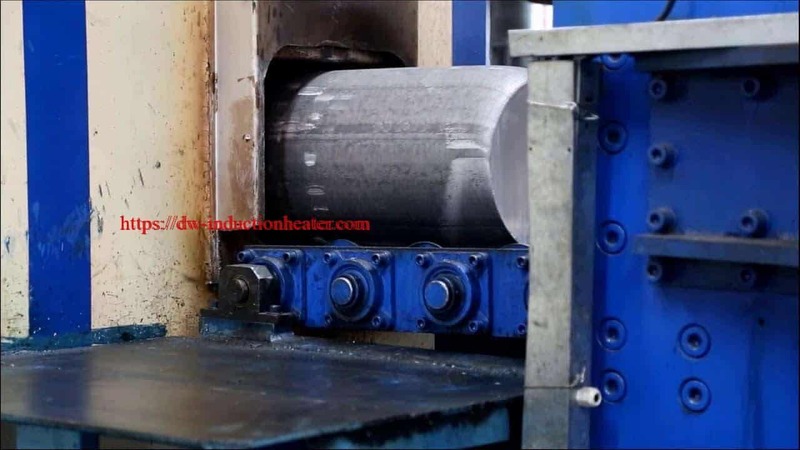 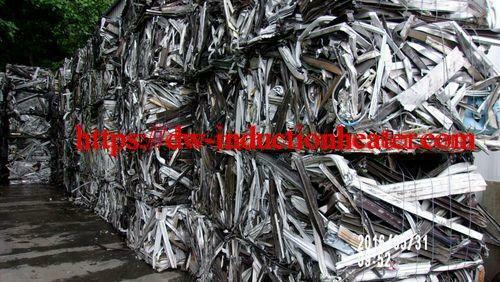 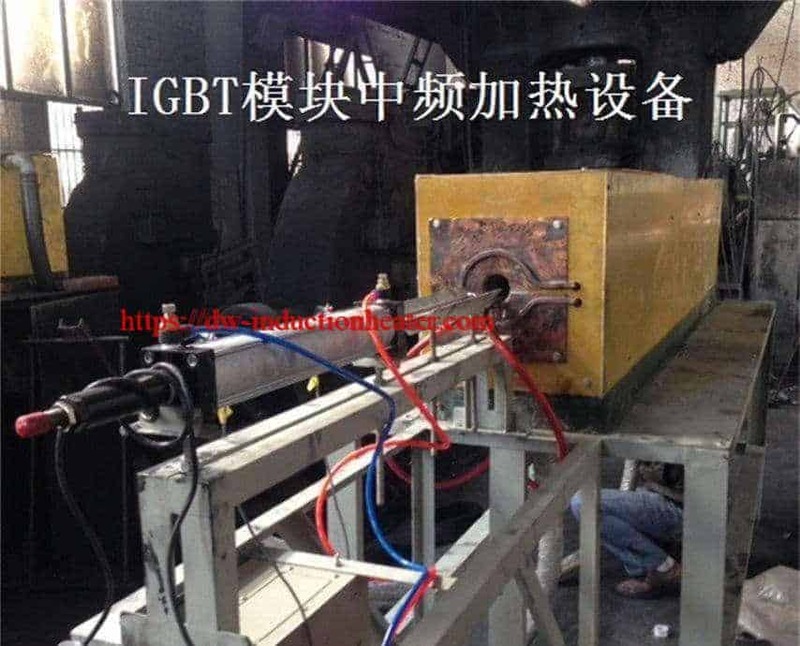 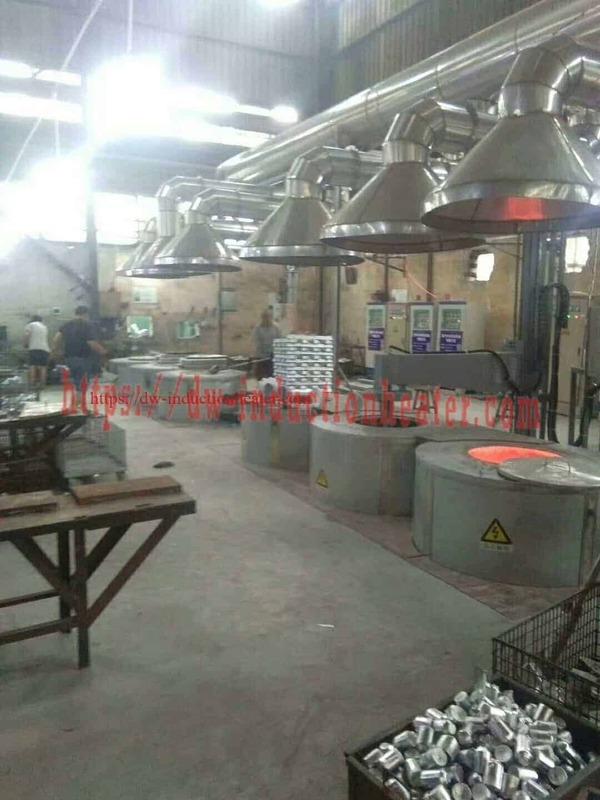 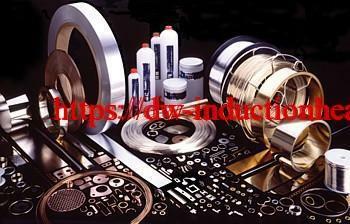 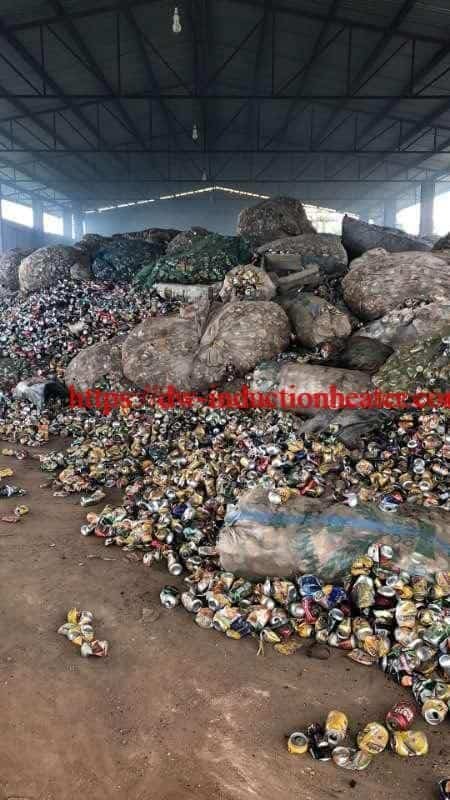 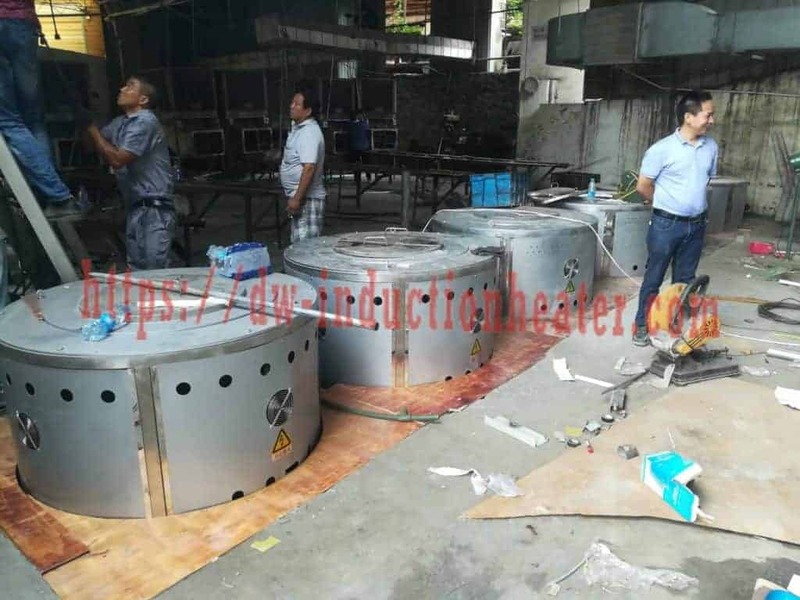 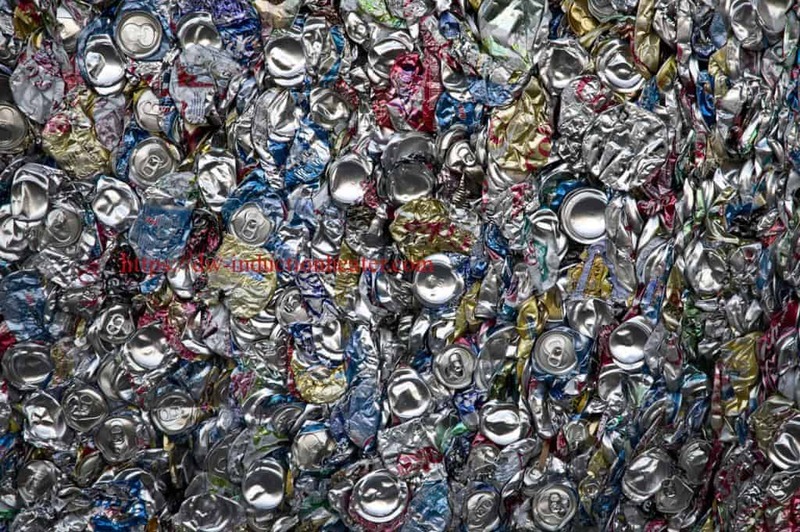 By switching to induction for this application the customer is decreasing their scrap parts and also increasing their quality and production rate.